An option incorporating both renewable energy and energy efficiency investments that are competitive in the market. For each scenario, the model identifies the combination of generation sources, efficiency improvements, and other measures that represent the lowest cost means of meeting Ohio’s energy needs. The model also factors in assumptions based on the current and future price of natural gas, current policy barriers stalling investments in advanced energy, pending federal regulations with which the state may need to comply, and the retirement of aging coal facilities. These scenarios are delivered as an Excel spreadsheet and can be downloaded at no cost. Please email any questions about technical support to ohiomodeling@aee.net. Advanced Energy Economy Institute would like to acknowledge the work of the University of Michigan and 5 Lakes Energy and support of the Energy Foundation. 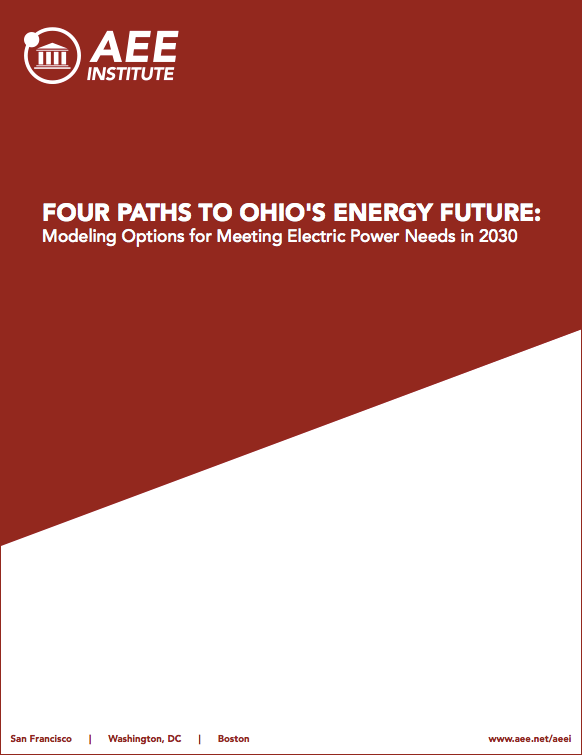 Please fill out the form to download “Four Paths to Ohio’s Energy Future- Modeling Options for Meeting Electric Power needs in 2030”. You can also download the Ohio model and user manual.